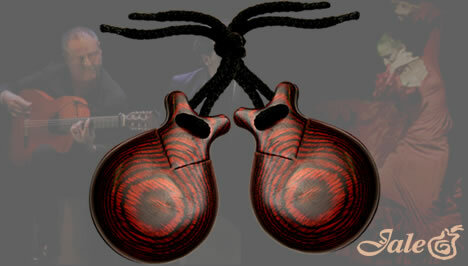 At Castañuelas Jale we specialise in the traditional, artisanal production of professional and semi-professional castanets. Everyday small jewel-like percussion pieces leave our workshop in Aldaia (Valencia) destined not only for the Spanish market but also many other countries throughout the world. We are proud to say that Castañuelas Jale is a benchmark due to its variety and great value for money. We produce castanets for professional dancers as well as the fields of education and training by covering different levels of study from beginners to the most advanced conservatory courses in Higher Studies of Spanish Dance. 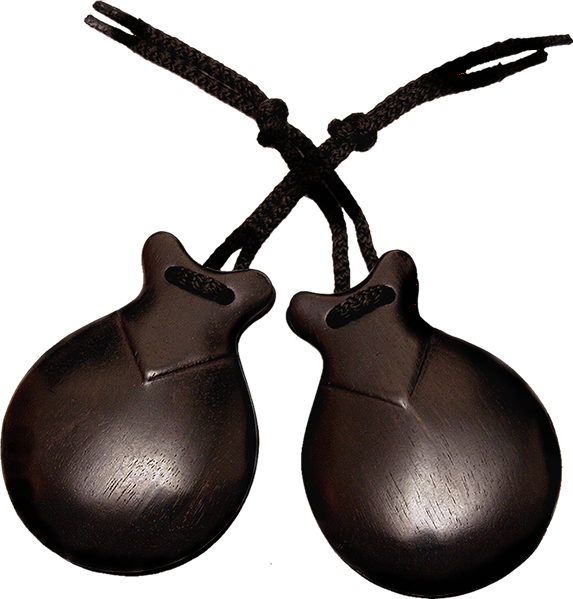 We also manufacture castanets for different regional Spanish folk dances as well as specific products for professional orchestra percussionists. Our second production line includes souvenir and gift castanets for tourism and the merchandising and events sector. 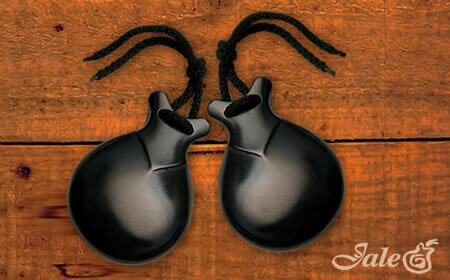 Castañuelas Jale was founded in 1990 and since then professionals all around the world continue to choose our castanets to musically accompany their performances. 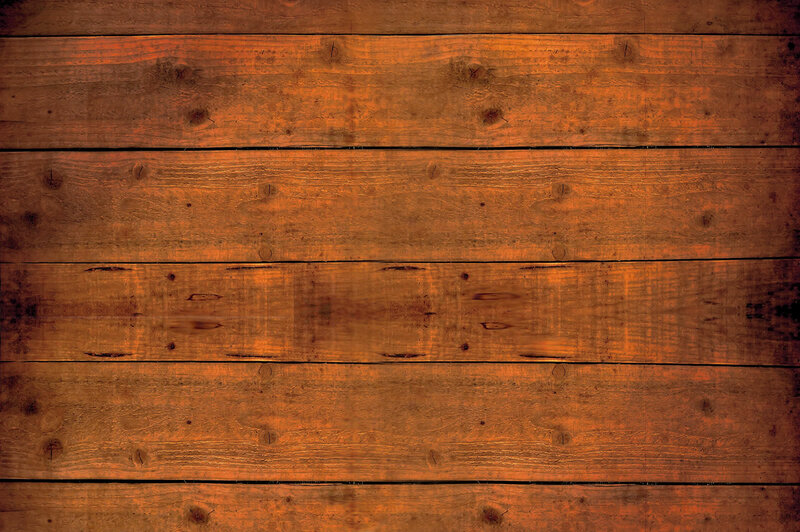 We strive to provide a percussion instrument of great quality and to that purpose we take care of every detail of the production process – both mechanical and by hand -; from the selection of raw materials to the final acoustic match, from the molding and marking to the hand sanding and polishing of pieces. 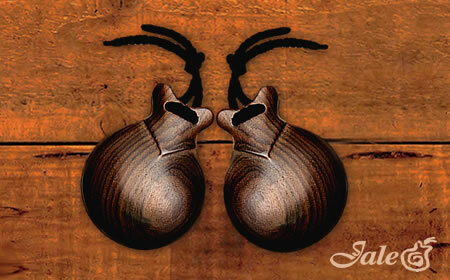 Every castanet is unique for us. Castañuelas Jale offers a wide range of models according to the level of specialisation -professional or semi-professional-, type of dance -Spanish/flamenco or regional-, material -fibre, fabrics or wood-, design -with or without peak and with or without grain – and finally the size -from number 3 to 10-.